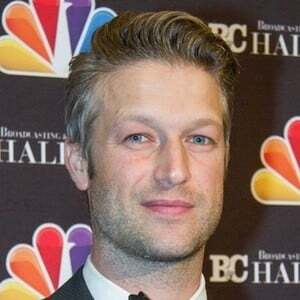 Television actor best known for his starring role as Detective Dominick Carisi, Jr. on the NBC series Law & Order: Special Victims Unit. He is also notable for his guest star roles in episodes of Person of Interest, The Good Wife, and The Blacklist. At the start of his career, he appeared in a 2005 episode of the Fox series Jonny Zero and played the leader of a cult in the 2006 film Under Surveillance. He starred as Jack in the 2010 sci-fi feature Zenith. He and his brother David grew up in Denver, Colorado. He and his wife, Lisha Bai, have two children. He co-starred with Lili Taylor in the 2013 movie The Cold Lands.